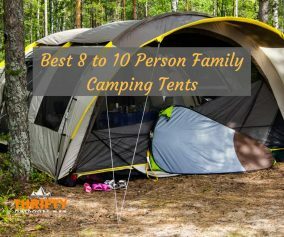 The image of a campsite is often of a tent, sleeping bag, and fire pit—and it may be hard to fathom that something much more comfortable and supportive to sleep on exists for camping. Though camping cots are not as ubiquitous as hammocks and sleeping bags, they are ideal for minimalist backpackers and those seeking some campsite luxury. Rather than spending all night on cold ground, a camping cot can make your trip much more enjoyable. 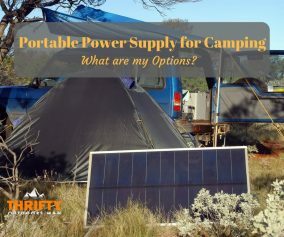 ​Today we’re going to give some recommendations for the best camping cots currently available as well as ways to make a choice about which one is ideal for you. As the name suggests, this is an extra-extra-large camping cot that is designed to bear a lot of weight (up to 600 pounds) or make two sleepers comfortable. The patented S-leg design ensures stability and ensures that the cot can withstand a number of people on top. The bed is made out of heavy duty 600D poly canvas, an aluminum frame for the fabric, and an X-leg steel support below. The downside to this trustworthy design is that the cot weighs a whopping 20 pounds, meaning that you won’t be bringing this cot for a quick jaunt up the mountainside. The Easy Cot by Byer of Maine has been on the market for a while now—which is a good thing. As sturdy as it is lightweight, the Easy Cot is designed to make camping, well, easy. To set it up, you simply pull the cot from the provided carry bag and pop it open. That’s it. You also don’t need to worry about stability and durability, because this cot can handle it. Additionally, the polyester fabric is very comfortable. For those looking for a budget-friendly, quick-to-setup camping cot, the Easy Cot is recommended. You want bang for your buck? Then check out the FLAMROSE Camping Cot. Though there’s nothing miraculous about the design at first glance, the reasonable pricing and components make this a steal. First, the fabric is 1680D double Oxford. Next, the material pairs with the 10-legged frame, giving it the weight-bearing capacity of 400 pounds. The FLAMROSE Camping Cot is also quick to set-up, since no assembly is required. There’s camping the wrong way, and then there’s the Kamp-Rite Oversize Tent Cot that makes every night under the stars a blissful one. Though this looks like a behemoth, it only weighs 25 pounds and promises an easy set-up. The aluminum frame is sturdy, supporting a decent amount of weight without an issue. The other plus to the cot would be the 3/8 foam insulating pad that’s included, as well as the 210D tent top and tape-sealed rain fly. No tent, no problem. In fact, the only disadvantage would be that you can’t fit it in a backpack. With a name like Comfortsmart Deluxe, you can expect a little extravagance. Undoubtedly, this is one comfortable cot. In fact, you might mistake it for a mattress, since it has a coil suspension and foam for additional spinal support. A study steel frame provides further stability and extended durability. The cot is also highly portable, since it doesn’t weigh much and can be set up within minutes. Simply fold it up and store it once you’re done. Note: A less expensive, more compact model—the Coleman ComfortSmart Cot—is also available. The biggest advantage to the Timber Ridge Deluxe XL Camping Cot would be the ease of assembly. Simply remove from the handy storage bag then unfold it. Though the cot weighs 27.5 pounds, it’s remarkably sturdy and long enough for people over 6 feet tall to sleep comfortably. The Timber Ridge Deluxe XL also tops any other XL cot available in size. The fabric is 600D poly ripstop, so you can trust that there’s plenty of support and stability. There’s a number of reasons why you might want to give a camping cot a go. One of the main advantages is that camping cots keep you off the ground, unlike a sleeping bag. In places where you can easily pitch a hammock, such as the desert or a rocky mountain, a cot will keep you away from ground-dwelling dangers, such as insects, rocks, crags, frigid ground temperatures, and moisture. Camping cots are also an excellent choice for minimalist backpackers and hikers, because a cot takes up much less space in your gear than a tent. When space is a concern, a camping cot makes it easier to get comfortable with less room. The bonus is that you can put all your gear underneath the cot. Obviously, deciding by price alone isn’t preferable, but it should be a factor when deciding which camping cot to buy if you have a budget. The best way to compromise between price and quality is to compare which cots have the features you want that are within your price range. Then, choose the one that is most durable and highly rated. The typical size of a cot is 75 inches long by 25 inches wide. This is usually large enough for an average-sized adult. Yet, for those who are heavier than 250 pounds or taller than 6 feet, you may need to get an oversized cot. These extra wide models may measure up to 40 inches wide. The frame is one of the essential components of a camping cot. The typical frame is constructed out of aluminum, so it’s both sturdy and lightweight. On the other hand, heavier cots designed for bigger people or multiple sleepers are usually made of steel. The other portion of the frame is the leg design. There’s 3 main leg styles: horizontal C-shape legs, military style x legs, and vertical legs. The first type is suited best for indoor use, since it is the least stable. The strongest would be the military style. Modern cots are comprised of either a single layer of polyester or nylon fabric. Cots that come with mesh are cooler than others and perfect for summertime. The one material you want to avoid would be cotton canvas, which is both heavy and retains dirt and moisture. Support comes from the tension of the fabric and spring systems. More expensive camping cot models may have adjustable tension systems. Others let you remove or reposition the support on the cot. The cheaper the model, the less plushy it will be. If you want the extra padding, however, you are going to have to deal with less portability and increased weight. A recommended course of action is to get a foam pad that can top your cot, so you aren’t sacrificing convenience for comfort. Although the majority of camping cots are lightweight and portable, ranging from 15-20 pounds, some styles and sizes are quite hefty. 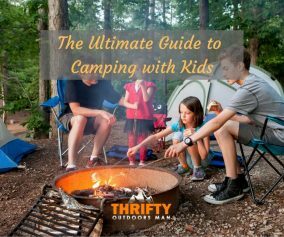 Be sure to check the weight of the cot before you decide to lug it with you on a camping trip. Backcountry models, on the other hand, may weigh as little as 2-3 pounds, but you shouldn’t expect much stability. The best camping cot is going to be one that’s easy to set up. The design should be straightforward enough that assembly is intuitive. Look for models where the joints unfold and snap into place. More costly models will have other pieces to add for stability and comfort, but it shouldn’t detract from the ease of assembly. 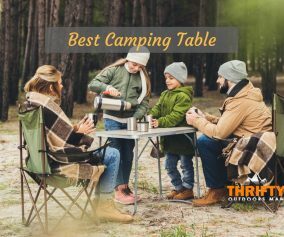 The best camping cot for you is the one that gives you comfort, portability, and durability for the price that meets your budget. Sure, there are plenty of options out there, but not all cots are created equal! 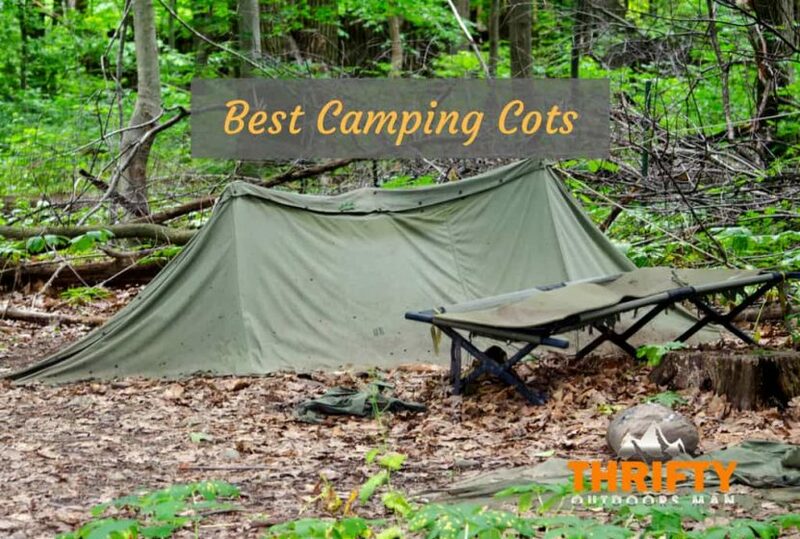 Minimalist backpackers and glampers alike will find cots out there to suit their tastes and needs; but if you want to choose something reliable, we recommend any of the cots listed in this article. You’ll sleep better knowing you choose a tried and trusted camping cot.